TF Sport are no stranger to the Road to Le Mans, taking part in the inaugural event last year and finishing in a fighting fourth position. 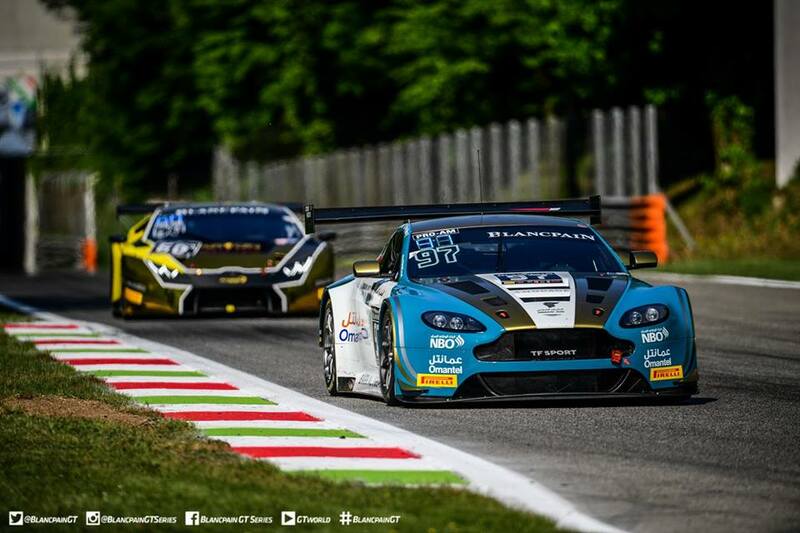 This year the British team return in the #97 Aston Martin V12 Vantage GT3 with Ahmad Al Harthy and Tom Jackson. Al Harthy is a regular racer with TF Sport, competing alongside Jonny Adam in the Blancpain Endurance Cup, while Jackson is new to the team. Jackson started his racing career in Ginettas in 2012 before moving to the BRDC Formula 4 Championship two years later where he finished in a strong third position overall with two wins and nine podiums. A move to the European Le Mans Series last year did not bring the desired results but Jackson is confident that in TF Sport, he will have the equipment to run at the front. “I was actually looking for a programme in the US, but it didn’t work out,” Jackson explained. “Then I was looking at the Road to Le Mans entry list and saw a TBA alongside TF Sport. I made the call and shortly afterwards the deal was done. “Everything will be new to me, the GT3 car, the circuit, but I’m really confident that I can quickly get on the pace. I’m actually buzzing with excitement as I had a really tough season last year and it’s so good to be going with a top team like TF Sport where I know they will provide me with the best equipment. The Road to Le Mans consists of two races, the first takes place Thursday 15 June at 17.30, the second on Saturday at 11.30.